Everyone loves getting ready for Christmas beforehand to feel the spirit of the holidays, to raise the mood and just feel the joy of this time of the year. Your children are looking forward to it even more! We offer you an idea to keep them busy and happy while feeling the holiday spirit at the same time – make some amazing Christmas slime! If you are looking for an easy homemade clear slime recipe that is perfect for kids then you are in luck! This recipe is decked out with Christmas spirit and super easy to make! If you are worried about the borax, no fear here, there’s no borax here. The Christmas look is achieved with colorful foil confetti and you can easily change it up depending on what you have on hand decoration wise. 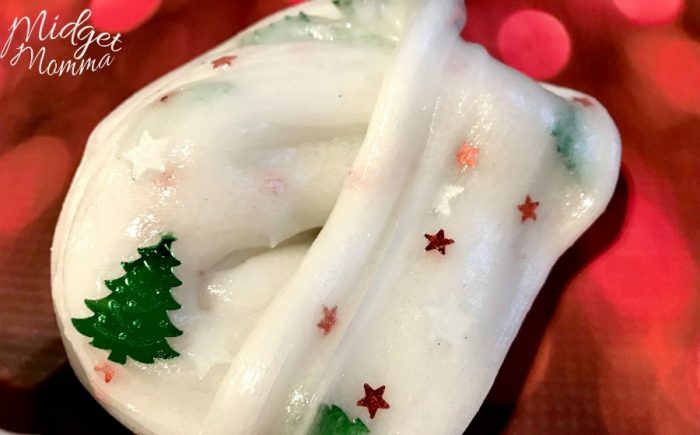 This Christmas slime recipe is hours of fun for the slime crafters. 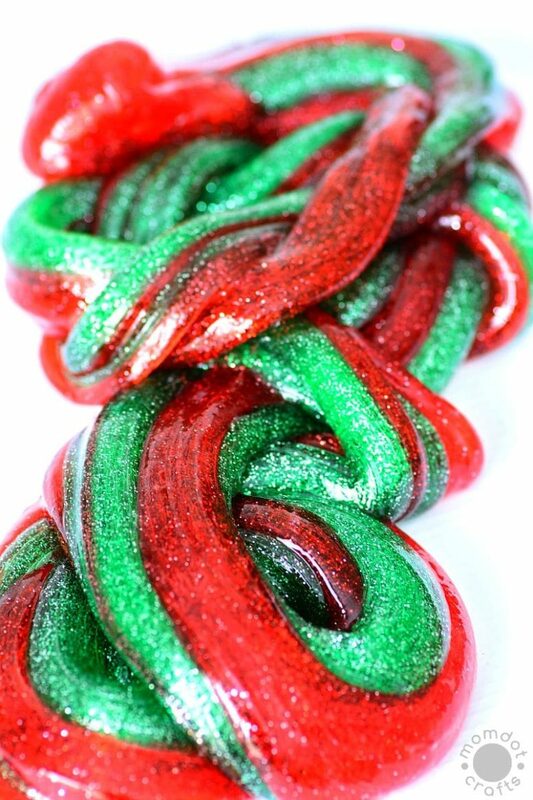 With peppermint extract and candy cane beads, it surely brings out the holiday cheer! Read the tutorial and watch a video to make it easier, there’s also an instruction how to pack the slime in a cool way to gift it to kids’ friends. 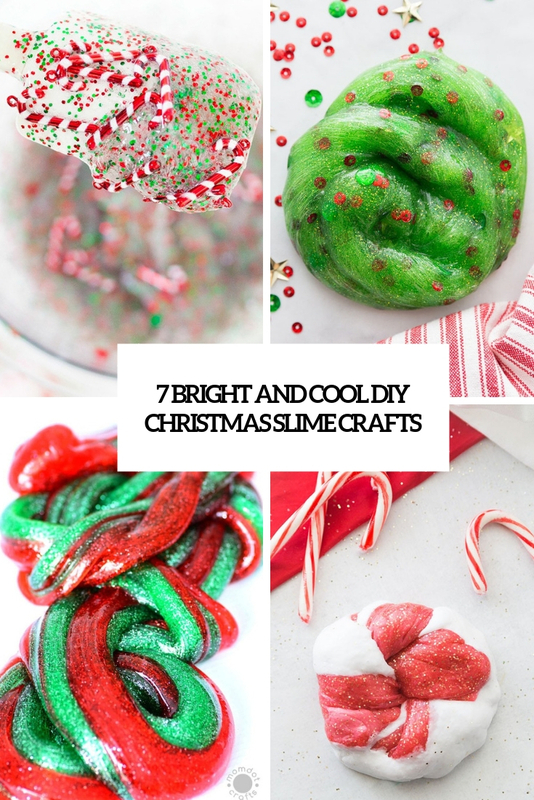 Here’s a simple slime recipe but with a slight twist for Christmas. And it has the added bonus that it’s easy to make and smells like candy canes! 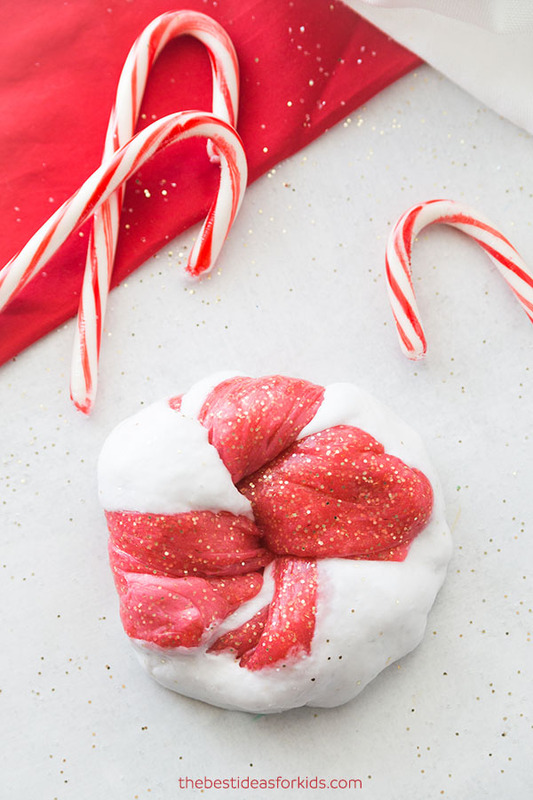 Kids will love playing with this candy cane slime as a fun sensory activity. 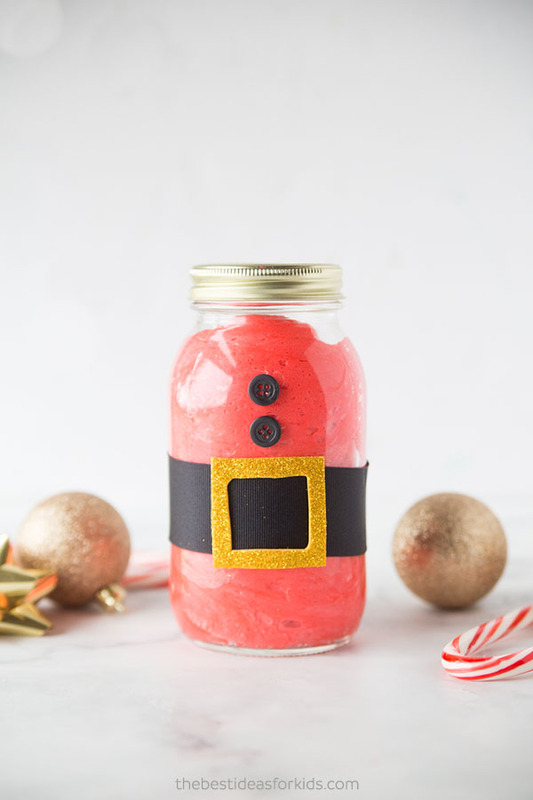 If you’re looking for another fun Christmas slime activity, be sure to see how to make cute Christmas Slime jars – there’s a tutorial in the source. Perfect to make as gifts and give at Christmas time! What can be more Christmassy than Santa? Nothing! This tutorial will show you how to make this super fluffy Santa slime for Christmas. This Santa mason jar would make a fun gift for the slime fan or simply use it to store the slime when you’re done playing with it! If you’re looking for some Christmas activities to do with your kids this year, making slime can be such a fun activity! You can even make a craft day where you make slime and make the jars to go with them. 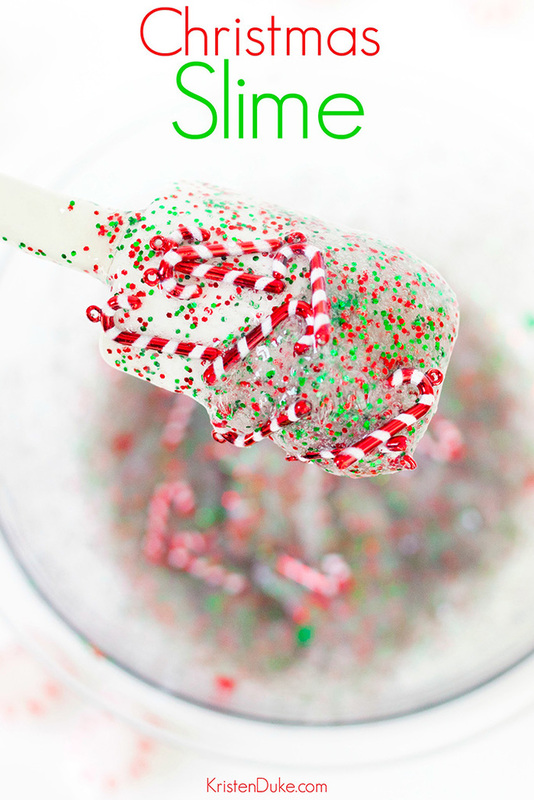 Here’s an easy Christmas slime recipe that makes a great kids’ gift idea! Perfect if you’re looking for an easy craft project for the kids over winter break. The ingredients are fairly safe, and most of these things may be around your home on any given day. It is great for the kids to make and gift to their friends-just place in a small container, wrap with twine, and you’ve got a fun and affordable gift idea. 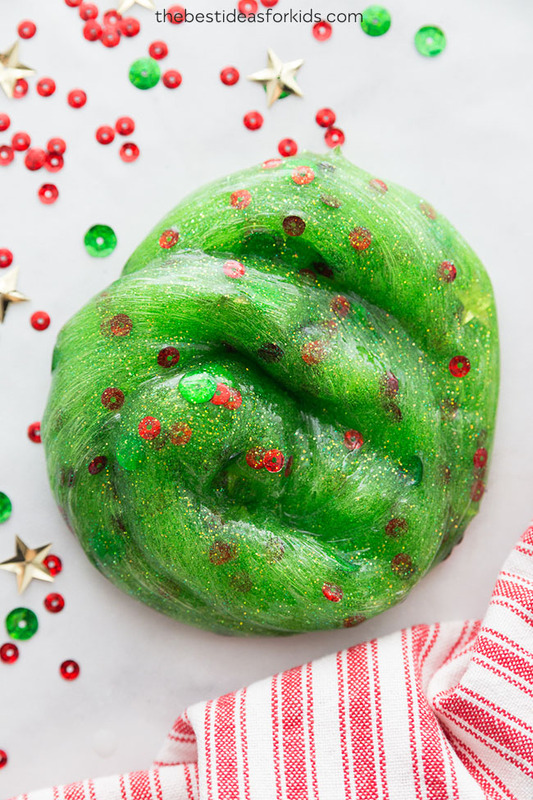 Christmas is a great time to whip up some holiday-inspired slime! Make some to give away or get the kids involved by having them add in Christmas glitter additions to create a super fun slime experience! This Christmas tree slime recipe couldn’t be easier and you can easily add in Christmas glitter or sequins to make it a perfect sensory activity for Christmas. Peppermint Christmas slime is a super fun way to bring the colors and smells of Christmas into your slime play! This slime recipe with glue is so fun with its beautiful green and red sparkles and is a perfect science and sensory experiment for kids. If you are making Christmas slime, you can alter for colors and Christmas smells: cinnamon, peppermint, citrus. I love the way the red, green and sparkles mix to make a fantastic fun slime that smells amazing too! Can you imagine the delight of your kids getting to participate in the creation of, and then playing with, this special slime?